We propose and demonstrate the application of concepts from digital filter design in order to optimize artificial optical resonant structures to produce a nearly ideal nonlinear phase shift response. Multistage autoregressive moving average (ARMA) optical filters (ring-resonator-based Mach–Zehnder interferometer lattices) are designed and studied. The filter group delay is used as a measure instead of finesse or quality factor to study the nonlinear sensitivity for multiple resonances. The nonlinearity of a four-stage ARMA filter is 17 times higher than that of the intrinsic material of the same group delay. We demonstrate that the nonlinear sensitivity can be increased within constant bandwidth by allocating more in-band phase or by using higher-order filter structures and that the nonlinear sensitivity enhancement improves with increasing group delay. We also investigate methods to precompensate the nonlinear response to reduce the occurrence of optical bistabilities. 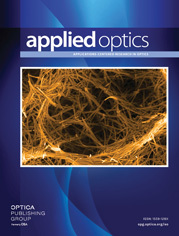 The effect of optical loss, including linear absorption and two-photon absorption, is discussed in postanalysis. In addition, we discuss how the improvement in nonlinear response scales with respect to various filter parameters.